Once upon a time, I was terrified that I wouldn’t pass my drivers test. I wasn’t good at parallel parking to begin with, but as I waited for my instructor to pick me up I realized that I had been practicing on the wrong side of the road. I had been approaching the parking spot from the north when I should have been approaching it from the south. To be successful, I would have to mirror everything I’d trained myself to do and would only have two shots to get it right. Outlook not so good. Once upon a time, I was terrified that I wouldn’t do well on the SATs because I never took a strategy class, nor studied in any meaningful way. To add to the stress, my parents couldn’t afford to pay for college, so I needed to do well on the SATs to get a scholarship. Do poorly and I’d have to go to community college and live at home; not something I wanted. Once upon a time, I was terrified that I wouldn’t pass my Praxis exam. I’ve never been a good test taker and to add to the stress I’d been offered a full-time teaching job contingent on passing the exam. If I failed, at best, they’d give my position away and I would have to sub for a year. It’s funny how that works. Drivers test, SATs, ACTs, Praxis, Bar exam, GREs, Civil Service test, the list of tests that you can retake until you are happy with your score is long. The one place you can’t retake things until you’re happy with your grade? School. How much sense does that make? The place where you are supposed to learn the information and skills that are going to make you a productive member of society punishes you for not getting something right the first time fast enough. If you don’t understand something the first time, you are left behind, clueless, because the class has to move on whether you are ready or not. Time compounds this problem, especially in Math and Science, because how can you understand the next lesson when it builds on the first lesson you didn’t understand? I believe my struggling students, especially the ones who have shut down or act out, do so because they have fallen so far behind it becomes impossible in their mind to catch up, so they give up. You never learn, you fail the test. Especially because this goes against everything we know about learning. We know doing reps, repeating the same action over and over again, create neural pathways in the brain which allow you to do things better and faster the more you practice. Meaning, failure is a big part of learning and if you want to, given enough time, you can learn anything. I wanted to create a classroom where anyone who wanted an A could earn an A. I played with the idea last year and fell in love, so this year it's become practice in my classroom: I created a self-directed, self-paced Mastery learning system. To pull off this type of learning, to give each student the time and attention they need, you’re going to need a learning management system (LMS) to help blend your classroom. We need to be teaching in blended classrooms. Why? 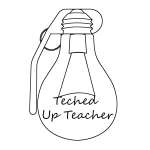 Let’s take a step back because I need you to get it; I need you to get edtech. If you’re giving the same worksheet on an iPad that you use to give on paper, you don’t get it. You need to get that edtech evens the playing field. With edtech we can deliver a personalized learning experience for every kid in a way that used to be impossible. Above all else, edtech is about differentiation and the most important differentiator is time. In a student-centered, blended classroom there is way more time for everyone. Kids come in and complete the Do Now which consists of the SAT question of the day and a journal (anticipatory set) while I take attendance and settle them in. Next, I go over the Do Now and spend no more than 20 minutes on direct instruction or review using Pear Deck to help keep engagement up. Finally, I release students into the wild to go work on their Level on Schoology. Level is my gamified word for unit. I put all quests (work), all readings, everything online into Schoology. So yes, I’m still in the classroom, but they are learning online without me. Putting everything online for students to learn, even though I’m in class with them, frees me up to move about the room to check-in with struggling students and build relationships. It gives every student the ability to move at their own pace and direction. Some students choose to watch videos in school and do the writing at home. Others choose to watch videos at home and do the writing in school, so I can help them. Many students, especially my struggling students, choose to do all their work in school because they know it won’t get done at home. Ultimately, they are learning how they learn best and directing themselves accordingly. A level opens and locks on a certain date. In between those dates my kids can turn in the work anytime they want and resubmit work as much as they want until they are happy with their grade. When the level locks, students can still complete the work if they are willing to spend class currency. Self-directed, self-paced Mastery learning is enough to talk about on its own, so I won’t be talking about how it fits into my Gamified system. I just wanted to mention that part to stave off the “You’re still leaving them behind” hate mail. Trust me, kids can still complete work after a level locks. Having a LMS like Schoology makes grading and re-grading a breeze. A lot of the work is self-grading and the work that I need to grade trickles in rather than everything being due all at once. Grading things as they come in allows me to give students near-instant feedback that is important to their learning and I’m rarely overwhelmed with grading now. Schoology also has a “compare versions” feature which allows you to see what changes have been made since students last submitted the assignment. Currently, I’m scaffolding my Mastery levels around Bloom’s Taxonomy. There is room for improvement, as I’m still learning what works best, and I haven’t been able to find many resources on the subject, so, like learning, this is a trial and error process. Essential Questions and Overview – Every level starts off with essential questions I expect students to be able to answer by the end of the level, an overview of the work they must complete, and why the work they are doing is important to their lives. Knowledge – This is usually a reading and/or flipped video that explains the very basics of what I’d like them to learn. They can watch or read the content as many times as they want, whenever they want, until they get it. Understanding – I follow-up knowledge with a short, multiple choice assessment for understanding. They may take this assessment as many times as they want until they are happy with their grade. Thanks to Schoology’s Student Completion rules they cannot move forward in the level until they score an 80 or better on this assessment. A great new feature that I use in the Understanding section is Schoolgy’s Question Bank. I usually create 20+ questions, from which 5 are drawn and given at random to every student. That means every kid has a different assessment and if they retake it, they are never getting the same quiz twice. Because of this, students really have to show an understanding of what they know. They can’t just brute force the same assessment with the same questions over and over again. They now have to really Master the content before they can move forward. Application – Next, I come up with fun ways for students to use their new knowledge. In the student-centered classroom, kids making and showing what they know is the name of the game. So, application is always a solo quest, meaning students work by themselves, and involves them making something. I’ve had students make infographics, Tweets as a character, screencasts, flipped videos, models, posters, board games, etc.. Any kind of fun, formative assessment will work for application. Analysis – In my English classroom, analysis is some type of writing. Whether they analyze current events, craft an essay, or participate in Thunderdome (my version of a Socratic Seminar) students have to do research and answer tough questions. They have to begin to understand the why of what they’re learning. Creation/Synthesis – This is where I will assign students a bigger group project with a more focused lens on something that really interested them in a level. They might have to make a documentary, reenactment, or something else digital often having to do with essential questions or the why from the analysis portion of the level. Evaluation – I end my levels with a self-evaluation and thoughtful response on the essential questions. Since many of my levels set out to challenge their preconceived notions, I also like to ask how students thoughts and opinions have changed since the beginning of the level. Prepare an anchor for your students who move through a level faster than others. Free Play is an anchor activity where students get a chance to do something awesome in an attempt to show me what they learned. They can work with whoever they want, as long as they are done with the Level as well. I suggest five or six Free Plays, like make a working Native American weapon out of materials of your choosing or create a reality TV show featuring the Natives and Columbus where they hash out their differences, or students can come with their own idea for a Free Play. Free Plays cannot hurt their grade, only help it. A Free Play is also the only way to get an A in my class. If they do all the other work in a level perfectly, they’d only have a 92 (we’re on an 8 points grading scale). Why is it the only way to get an A? Prepare for some of your top students, their parents, and administrators not to get Mastery learning. An administrator asked me, “If everyone gets an A, don’t A’s become meaningless?” I’ve had similar questions, “If everyone can redo the work until they’re happy with their grade, what’s the point of trying hard the first time?” I’m still not sure how I feel about questions like those. I can see it from both sides. If a kid takes three weeks, doing the work over and over again, to get an A is it fair that the kid who completes the work right the first time, in half the time, also gets an A? It seems that some people can only have, if they feel like others have not. So, I compromised. Students who don’t complete a Free Play while the Level is open are not eligible for an A. I have no idea if this is the right decision or even good practice; I’m struggling and experimenting. Deep down, I want every kid to learn. If they are willing to put in the work, why don’t they deserve to get an A? Until we have perfectly tracked classes, schools tracked by ability, or fully personalized learning for every kid, this is the best system I can currently come up with. Prepare for your low-performing students and their parents to love you. You are giving their kid the chance they need to be successful. I had a mom cry on back-to-school night when I told her this class just may be the first A her kid ever earns in school. Prepare for homework issues to all but disappear. We know that some students do well in class and then fall apart when the work has to be done at home. If a student works hard all Level, all of the work can be completed in class during normal business hours. Prepare to deal with kids as they learn time management. Most of my kids have no concept of time management. They wait until the last-minute to hand something in, forgoing the ability to redo it, no matter how many times I explain due dates mean due by not due on. It can be incredibly frustrating at times, but it is an invaluable skill that most eventually understand. I rather them learn the skill now rather than in the real-world. Prepare to stop caring about grades. There is this weird phenomenon I’ve come across where teachers see a kid as a D student and won’t be satisfied unless the D student has a D. This system isn’t for those teachers. If the thought of your worst student getting an A upsets you, don’t try this at home. Prepare for a few kids to abuse the system. Every system has people who abuse it. From welfare to gambling and everything in between, every system has its flaws and people who take advantage of them. This system is no different. If you are going to judge Mastery learning by the few who game the system and not the many who benefit, Mastery learning will fail to meet your expectations. Prepare for choice-paralysis. Initially, some kids become paralyzed by the freedom they have in my class. The idea of working when they want and having a say in what they learn and how they learn it will cause some kids to shutdown. They will literally freeze in class, often staring into some unseen void, and leave having accomplished next to nothing. These kids need immediate intervention, so be on the lookout. The good news is, I haven’t had a kid yet that I couldn’t coach up and learn to work independently. Prepare to hate your lack of technology. My class is BYOD with mediocre WiFi. In an ideal world, I’d be 1-to-1 with devices that kids could take home and I’d have amazing wireless in class. Basically, I wish I had a classroom that I know I’m never going to have. You too will say I wish, I wish, I wish, but I’ve learned my students and I have to make do with what we have. Find a way to be successful, not make excuses, because your students need you right now. After all this, prepare to have kids who will still fail. Despite being able to redo work until they are happy with their grade, I still have students who fail. They refuse to do work and have no interest in even trying. I can still build relationships with these kids and we get along just fine, but they still choose to fail. I will say these types of kids have dropped to 3 or 4 from the 15-20 I had before Mastery learning, but it still happens and I don’t understand why. It’s something I’m still trying to figure out. I don’t care about my kids’ grades, I care about their learning. Mastery learning allows me to deliver the time, attention, and relationships students need to be successful. To illustrate, I leave you with this: A few days ago my “low-level” students realized I’d grouped them together in Schoology with my Honors kids. “That’s not fair,” they said. “Have you been doing the work?” I asked. “So if you’re doing Honors work successfully, what does that make you?” I asked. We need to meet students where they are, not where we wish they were. Mastery learning in a blended classroom with a LMS allows me to do just that. Consider it. P.S. If you teach in a mastery classroom, I’d love to connect and collaborate. I’m so very lonely.